Injured military personnel and veterans have helped excavate a mysterious Roman building complex as part of an archaeology project which aims to help their recovery. Serving personnel and veterans worked alongside experienced archaeologists from the Defence Infrastructure Organisation (DIO), the Defence Archaeology Group (DAG) and staff and students from the University of Leicester, on excavations of Whitewall Brake Roman building complex within the MOD’s Caerwent Training Area in South Wales. The 2-week dig, which ended this month, was run in conjunction with other excavations inside the Training Area, in the abandoned village of Dinham. This fourth campaign of fieldwork on the scheduled ancient remains at Whitewall Brake continued efforts to elucidate the plan, date, nature and purpose of the Roman building complex, which was once a prominent feature overlooking the walls of the Roman city of Venta Silurum (modern Caerwent). Further evidence of the grandeur of the buildings was recovered this year, including fragments of coloured mosaic and of a small column. Continuing investigation of the site will add to our understanding of the Roman city and its environs. It will also help DIO and the Welsh heritage agency Cadw decide how best to curate these historically important remains. The excavation formed part of Operation Nightingale, a programme established by DAG and DIO to support the recovery of military personnel injured in Service, whether in training or on operations, e.g. in Afghanistan, to help them return to their regiment or prepare for civilian life. 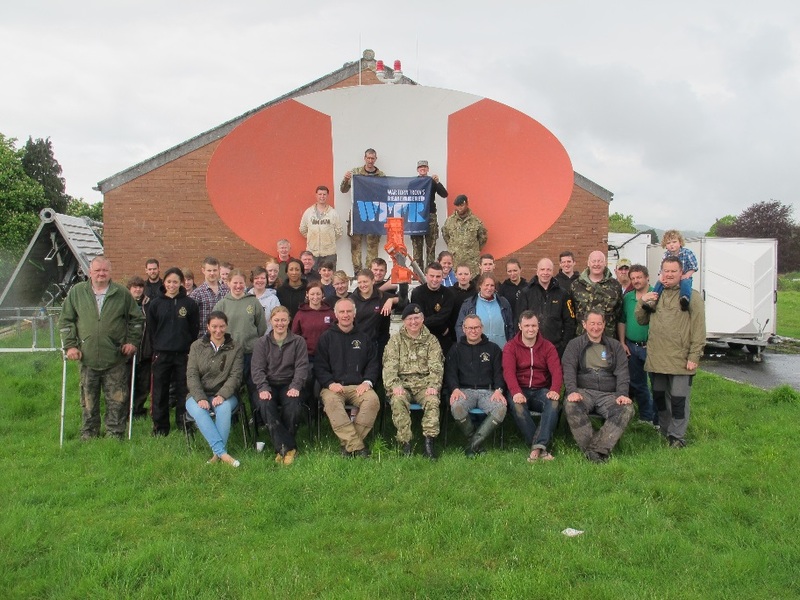 Op Nightingale is now also increasingly working with veterans: this year the work at Caerwent involved a group of former soldiers from Scotland. The participants have suffered a broad spectrum of injuries including physical and psychological trauma. 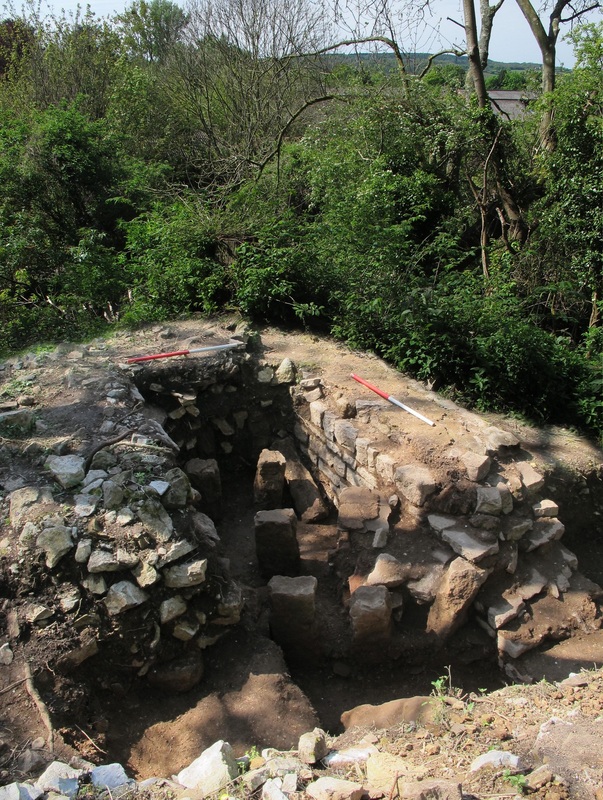 The Operation Nightingale programmes at Caerwent involve an important additional dimension: students from the University of Leicester’s School of Archaeology and Ancient History also take part. As they develop their own archaeological skills, they pass these on to the service personnel and veterans working closely with whom they closely work. They themselves in turn learn a great deal from contact with people who have a great deal of experience of living and working in the field, and in reading landscapes. Not only does the project benefit all those taking part, but it also contributes to the Ministry of Defence’s commitment to preserving and maintaining heritage assets. The feedback from service personnel who have attended the programme is that every single one has enjoyed themselves and gained a positive experience that has helped their recovery. The key to the success of the project is that the personnel undertake many different activities, from digging to surveying, and photography to finds processing. The programme gives them something useful to do which can help rebuild their self-esteem, provide them with a sense of purpose and give them something positive to strive for. It was a real privilege, and genuine joy, for the civilian archaeologists, both professionals and University of Leicester students, to introduce serving personnel and veterans to our world, while they taught us about their own skills and experience. We all got an immense amount out of spending time with some really remarkable people, serving and veteran, exchanging skills and opening each others’ horizons to possible future directions in education and careers. As more than one of the military contingent commented to me this year, archaeological projects and military field operations have a great deal in common, with archaeology just lacking the gunfire! Operation Nightingale has won a British Archaeological Award in recognition of its innovative use of archaeological work to boost the recovery and career prospects of injured military personnel.